The National Women's Hockey League's board has approved an investment plan to expand into Toronto and Montreal next season. NWHL spokesman Chris Botta also told The Associated Press on Tuesday the league has received a commitment from the NHL that will make it one of the NWHL's biggest financial sponsors. NWHL commissioner Dani Rylan told The Associated Press on Tuesday the league's board had approved an investment plan to establish teams in Canada's two largest cities for the start of next season. Rylan also said her league has received a commitment from the NHL that will make it one of the NWHL's biggest financial sponsors. The decision by the U.S.-based NWHL to cross the border and expand from five teams to seven comes on just two days after the Canadian Women's Hockey League abruptly announced it will cease operations by May 1 due to financial issues. The CWHL had four teams in Canada, one in suburban Boston and a sixth in China, and its decision after 12 seasons was seen as a major blow to the sport. "The news definitely came as a shock to us on Sunday morning, but it was obvious that we needed to do what we could to provide for those players to have a place to play this fall," Rylan said by phone. "The focus of ours was to figure out a solution for Canada first, and we're fortunate we were able to do that pretty quickly here." Rylan said the expansion decision and NHL's increased backing weren't exactly connected. She instead views the NHL's increased financial support as "an endorsement of our business and the brands that we're growing." Rylan did not reveal how much additional money the NWHL will receive above the NHL's $50,000 previous annual commitment. The NHL also contributed $50,000 to support the CWHL. NHL deputy commissioner Bill Daly confirmed the league has increased its financial support. Daly, however, cautioned the additional support doesn't change the NHL's position in fully backing a women's pro sports league. Daly referred to what he wrote on Sunday in response to the CWHL's collapse. NHL commissioner Gary Bettman previously told The AP he was hesitant about the league assuming control of the CWHL or NWHL or both because, as he put it, "we don't believe in their models." At the time, he emphasized the importance of starting with a clean slate. The shifting fortunes for pro women's hockey in its hotbed of North America has come with most of the world's top players in Finland for the world championships, which open on Thursday. Many players tweeted their disappointment on Sunday and Canada's national team issued a statement Tuesday. "We are disappointed and shocked to learn of the CWHL's plan to shut down league operations," the team said. "There are many unanswered questions about the future, but we will continue to create dialogue with our teammates, fellow players and leagues. Our priority as players is to move forward and advance the game at all levels, and to ensure female hockey players have a viable league for the future." CWHL Calgary general manager Kristen Hagg posted a statement on her Twitter account saying former league officials continue "evaluate all the options on the table and plan to work in solidarity." 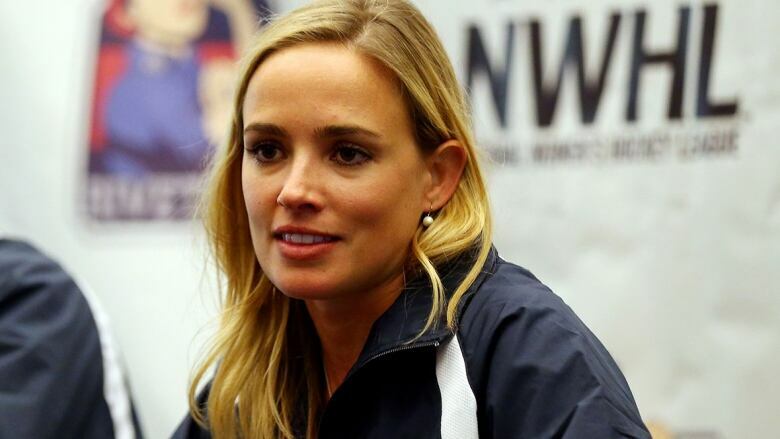 "A lot of stakeholders and brands have been hesitant to invest in women's hockey because there was a decision to make before, the CWHL or NWHL," Rylan said. "And now there's no decision," she added. "We are the league to do business with and we are continuing conversations and exploring conversation, and eager to accept that business this off-season." Without going into detail, Rylan didn't rule out the possibility of adding more expansion teams before the start of next season.